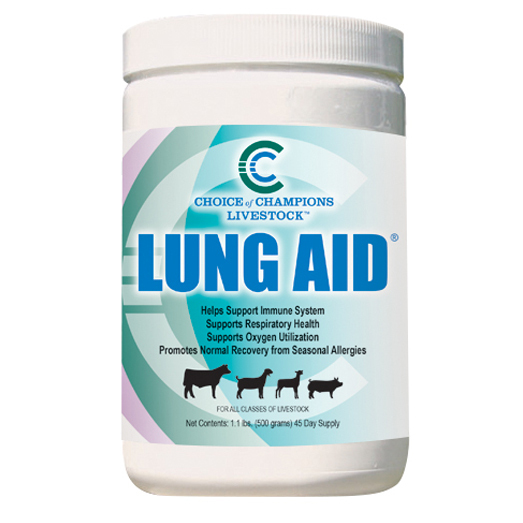 LUNG AID is a highly concentrated, complex formulation of multiple sources of vitamin C. The absorption process begins upon ingestion. CHOICE OF CHAMPIONS products should be stored at 40-80 degrees Fahrenheit. Extreme hot and cold temperatures and direct sunlight may cause ingredient breakdown. When properly stored, Choice of Champions products have a shelf life of two years..
Once the container is opened, continually use contents until the container is finished. These products will not test.